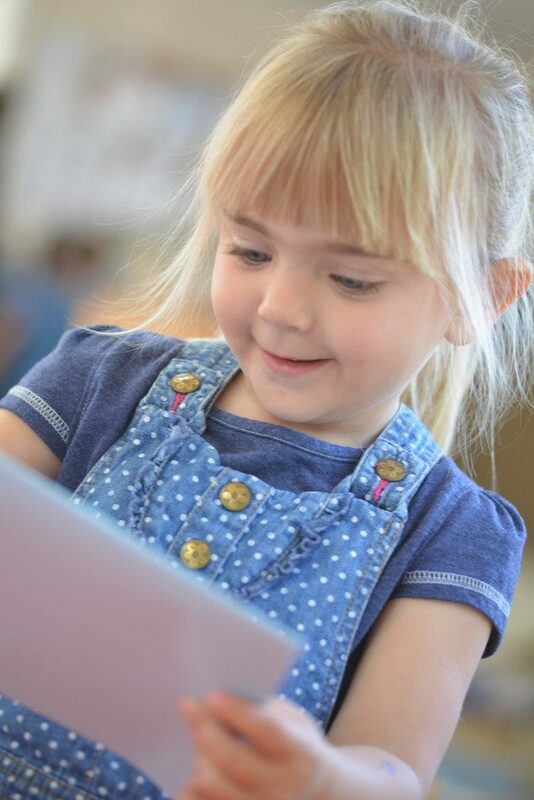 Reading skills: by the end of reception children will read and understand simple sentences. They will use phonic knowledge to decode regular words and read them aloud accurately. They also read some common irregular words. They demonstrate understanding when talking with others about what they have read. 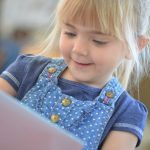 Writing: by the end of reception children will use their phonic knowledge to write words in ways which match their spoken sounds. They also write some irregular common words. They write simple sentences which can be read by themselves and others. Some words are spelt correctly and others are phonetically plausible. The most effective way to help a child to learn to read is simply to read aloud to them regularly and often. The learning of nursery rhymes helps them to notice the sounds in words and the tunes help them to remember the words. 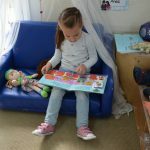 Read stories regularly to your child, they will want to hear their favourites over and over again and will soon know them off by heart, reprimanding you if you miss out parts or change the order! The books that are best are books your children like! You will soon discover which they are! Join your local library, it is free and a wonderful source of good quality literature! 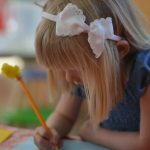 Before they can learn to write children must learn to control a pencil and form the shapes they want, so don’t try to teach your child to write letters until they have had lots of drawing experience. 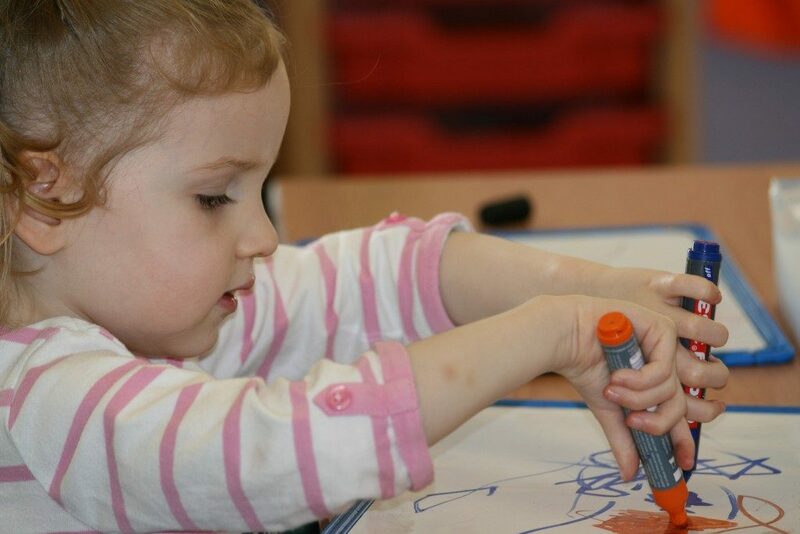 Free drawing enables them to explore shapes, gain confidence and develop the right muscles for writing. Your child will start by making marks that look like scribble. This is a very important first stage to develop good pencil grip and control. 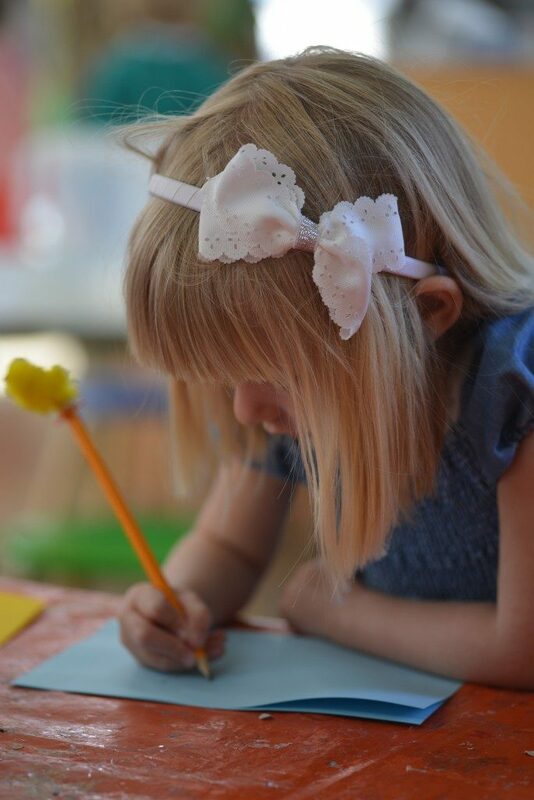 The children will enjoy working with a variety of implements – pencils, crayons, chalks, felt-tips, paints, etc. Show them how to hold a pencil correctly. Show them how to hold a pencil correctly. Gradually your child will start to draw shapes that look more like letters, often starting with the letters in their own name. If your child is showing an interest in writing letters use a capital letter for the start of their name and then lower case letters for the rest of their name. Make sure your child sees you writing, so that they know writing has a purpose. Get them to take a short shopping list to the shops with you and cross off the items as you put them in the basket. If your child is left-handed don’t do anything to alter this. It really doesn’t matter and it’s wrong to force a child to change.